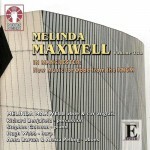 This work was completed in July 2005 and was written specially for Melinda Maxwell and Richard Benjafield. The music is based on the well-known poem Kubla Khan by Samuel Taylor Coleridge, and in it I have attempted to capture some of the spirit of his highly evocative text. The work lasts for some ten minutes and is structured in three main sections. The opening section(and ‘mid this tumult Kubla heard from far ancestral voices prophesying war) is dramatic with the oboe announcing two ideas – the first a high repeated note rhythmic pattern (later with multi-phonics) which is answered by six differently pitched drums and temple blocks, and the second a short lyrical phrase mainly built on thirds. In the second section (a damsel with a dulcimer in a vision once I saw…could I revive within me her symphony and song) the solo oboe transforms the repeated notes and thirds of the first section into a love song, underpinned by the percussionist’s vibraphone and crotales. A short reprise of the very opening leads into the final section (Beware! Beware! His flashing eyes, his floating hair! Weave a circle round him thrice…) which mirrors the text with three short dances in chain form, folk-like in character and increasingly climactic. A final reprise of the opening seems to suggest a violent end, but the works ends gently with the oboe’s minor thirds of the love song echoed by the percussionist’s crotales.